I have been in search of the PERFECT biscuit recipe for several months now. 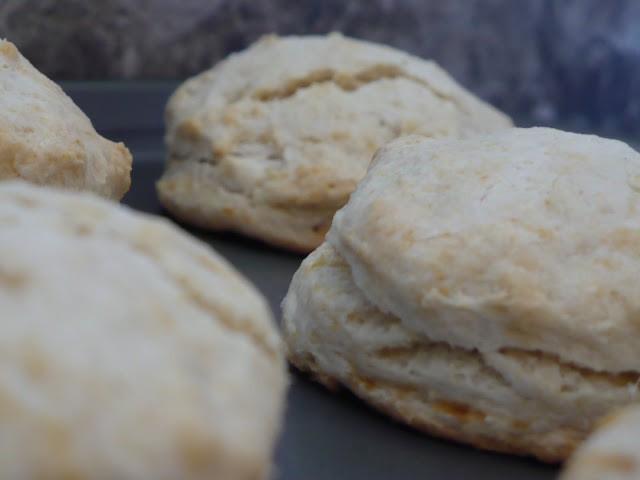 Personally, I believe that Pillsbury Grands fits all my criteria for a good biscuit but I’ve been wanting to try my hand at some homemade ones. I’ve tried about six different recipes and they never turn out quite the way I want. They were either too hard, tasted too much like flour, or it simply wasn’t the consistency I was going for. Every recipe spins off of a pretty basic recipe, but some call for buttermilk, some do not, some call for self-rising flour, some do not. I wanted something that was SIMPLE. In all the trial and error, it has been PERFECTED! I have to say that these “Angel Biscuits” are simply divine. They are fluffy and YUMMY!!! The recipe does call for buttermilk but I don’t often keep buttermilk stocked. If you don’t have buttermilk you can take 2 cups of whole milk and add 2 T of vinegar. Make sure this is at room temperature. This makes it work best for some reason. I put the milk in the microwave for about 40 seconds and then added the vinegar. This will take the chill out of it in order to be close to room temperature. ENJOY and let me know what you think of them if you try them out! 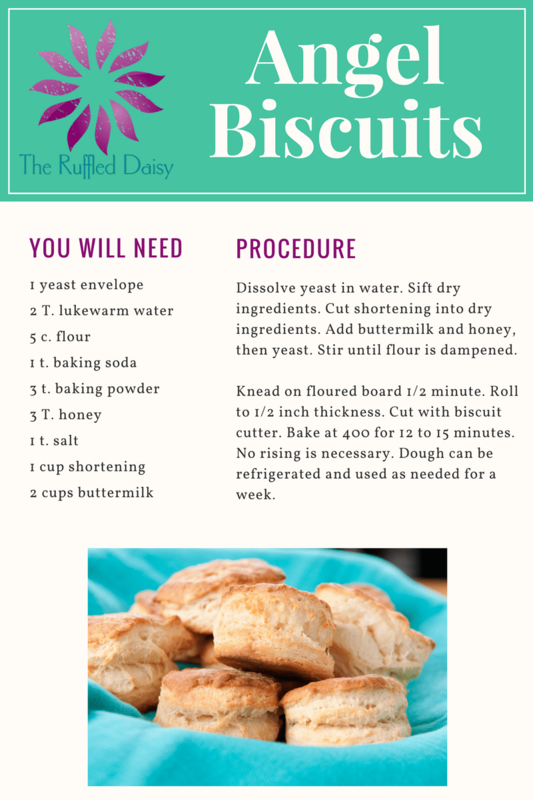 Do you have a favorite biscuit recipe?